1. At least 100GB partition for Windows 2008 server OS. 3. At least 1TB partition for event storage. 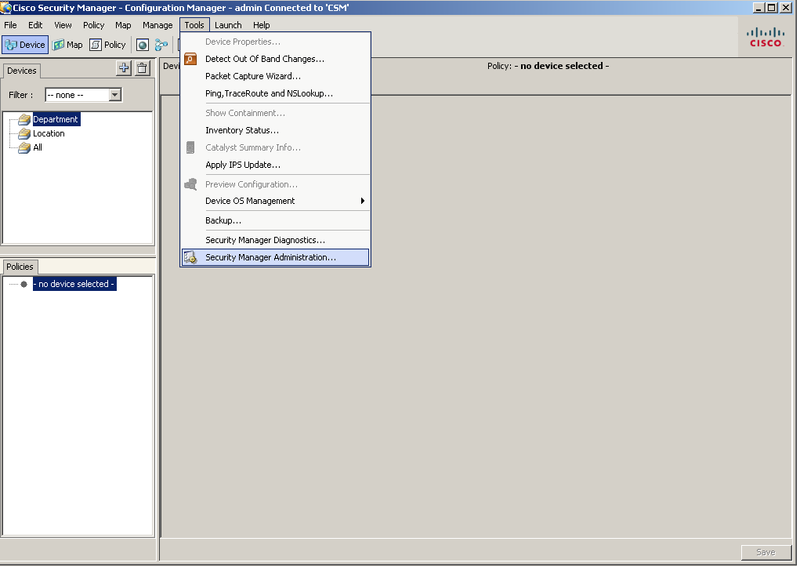 Login to Cisco Security Manager – Configuration Manager. 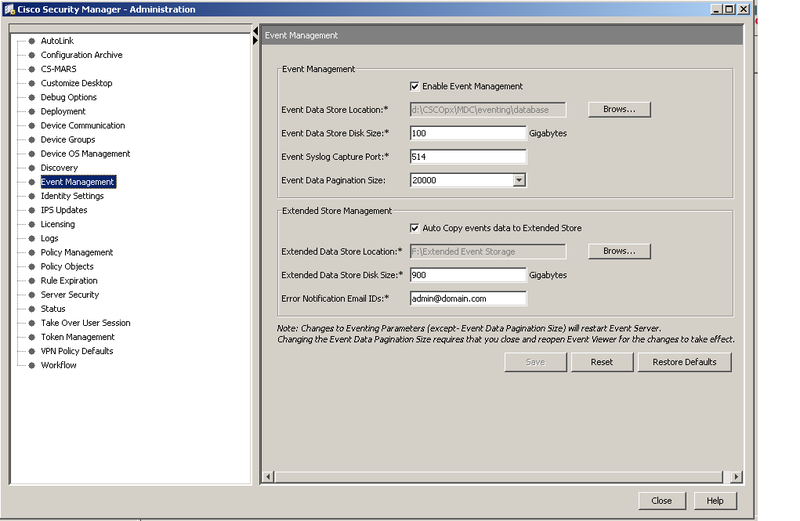 Then Choose event management, turn on the extended store management, so that the historical events will be copied. After that click on save and you are done! This entry was posted in Network Maintenance, Security and tagged Cisco Security Manager, extended store management. Bookmark the permalink.